Exporter of a wide range of products which include beverage processing equipments and alcoholic beverage processing plants. AGUAPURO offers complete systems for producing Carbonated & Non - Carbonated Soft Drinks as well as Natural and Artificial Juices. Machines are available for various bottle volumes and are available for capacities ranging from 500 Bottles per hour in semi auto range and 2000 Bottles per hour up to 20000 bottles per hour in fully auto range. Aguapuro is the leading name in manufacturing & integrating beverage processing equipments alongwith Filling Lines for various products that Includes Carbonated products of Cola, Orange, Clear Lime, Cloudy Lemon, Jeera Masala Soda, Ice ream Soda, Litchi Flavoured Drinks etc. 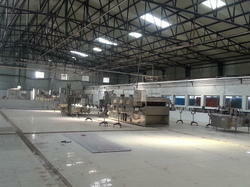 Also the Juice based Drinks of Mango, Pine Apple, Apple, Orange Pulp Based drinks can be manufactured using this set up. AGUAPURO offers complete Plant and Machinery set up to produce these products in Small Sachets (Pouches) or Pet Bottle in a volume of 100ml and 200 ml or even bigger volumes as required. 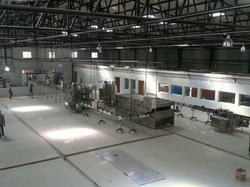 capacity of the Project from 2000 bottles per hour and 3000 Pouches per hour up to any big size capacities. Looking for Beverage Processing Equipments ?